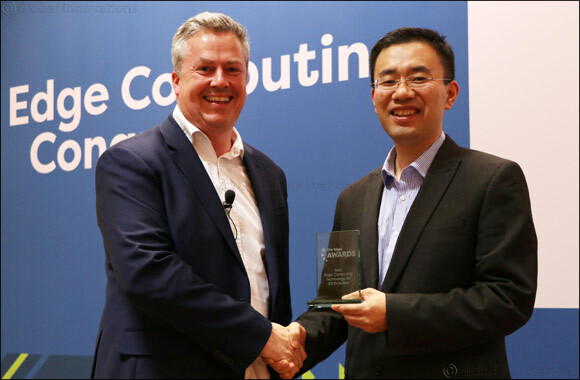 Dubai, UAE, September 20, 2018: The Huawei MEC solution won 'The Best Edge Computing Technology for 5G Evolution' award at the Edge Computing Congress in 2018. This award recognizes achievement of the Huawei MEC solution in 5G architecture innovation, deployment practices, and application exploration. Huawei MEC solution has been adopted by operators globally and is currently deployed in multiple countries and regions, including China, UAE, Spain, Portugal, and Thailand. At this Edge Computing Congress, Huawei MEC solution also helped China Unicom win 'Recognition of Operator Innovation and Progress in Edge Computing' award.